I marvel at how beautiful the gardens are considering that a garden near the ocean has many obstacles to overcome. 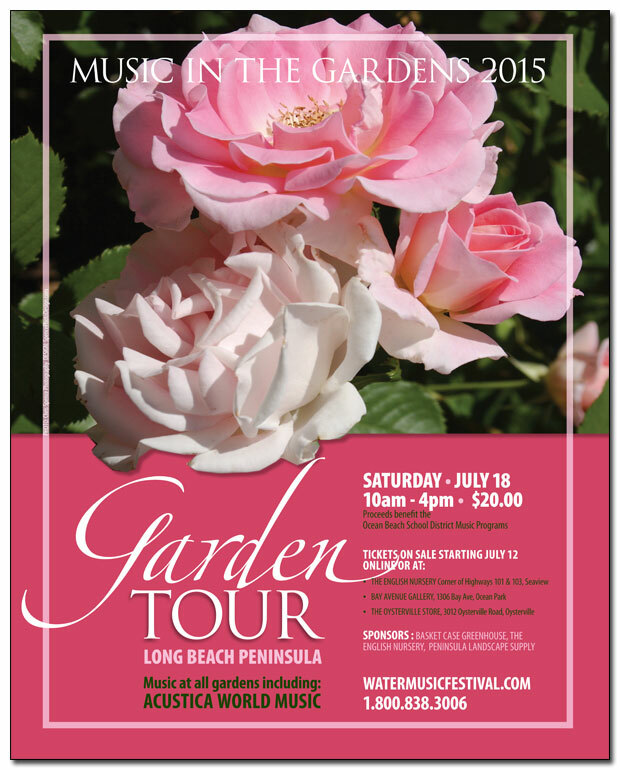 July 18th, 2015 marks the third year for me going to the Music in the Gardens Tour in Long Beach, Washington. I marvel at how beautiful the gardens are considering that a garden near the ocean has many obstacles to overcome. Wind, is one – giant wind that would make any in-lander run into the nearest closet to hide until it passed over. Knowing some of the problems seasoned ocean gardeners face out near the open ocean makes me appreciate the gardens that much more. I must always take photos when I tour them. Yet, I don’t remember being in other charming gardens before where delightful notes of live music sifted through the flowers of a garden. When I am done, enjoying the plants and landscapes, I find time to listen to the music! I hope to see some of my now favorite musicians playing again, along with some new ones this year. With music by Terry Rob, The Winterlings, and Acustica World Music among others, it’s going to be hard to leave each garden and travel to the next one. 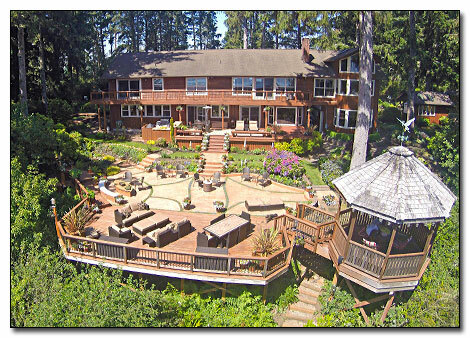 One garden I privately toured a few years ago was at the home of Rita and Ken Nicely. This year this wonderful garden on Wallapa Bay in Oysterville is one of eight gardens that are participating in this year’s tour. The aerial photo reveals how much the garden changed over the last two years! With all the heat we’ve had in the interior, a day in gardens and the cool ocean breezes would provide relief. If I lived in Portland, I would consider driving out to the Long Beach Peninsula for a day trip. If you come out for the tour, look for me. I will be the one bobbing my head to the rhythms, snapping photos, and smiling. Moreover, so will everyone else. Be sure to watch the video of the gardens I photographed on past tours. Then make a date to come out for this treat for your gardening soul! 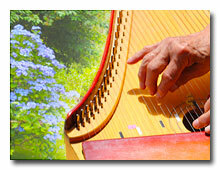 For more information about the Music in the Gardens Tour, visit their web site. Aerial photo of Rita and Ken Nicely’s garden is courtesy of Bob Duke.